Home / greece / Ambrose does not resign because the virgin said it! Ambrose does not resign because the virgin said it! On Thursday, Metropolitan Ambrosios celebrated the Divine Liturgy on Virgin Mary Tripiti and prayed to the Virgin Mary by inviting him to lead him to the right decision. The Help of … Our Lady to stay in the bishops throne, asked the metropolitan of Kalavrita and Aegialia Ambrosios, and of what the message seems to have received! Ambrose had announced his resignation, pointing out that he would leave his position in August 2018. He extended and said he would stay until the second instance of the case for his unacceptable homophobic statements about homosexuals, it happened days ago. Then he asked for his decision to help the Virgin Mary. Specifically on Thursday, Metropolitan Ambrosios celebrated the Divine Liturgy on Panagia Trypiti and prayed to the Virgin Mary by inviting him to lead him to the right decision. 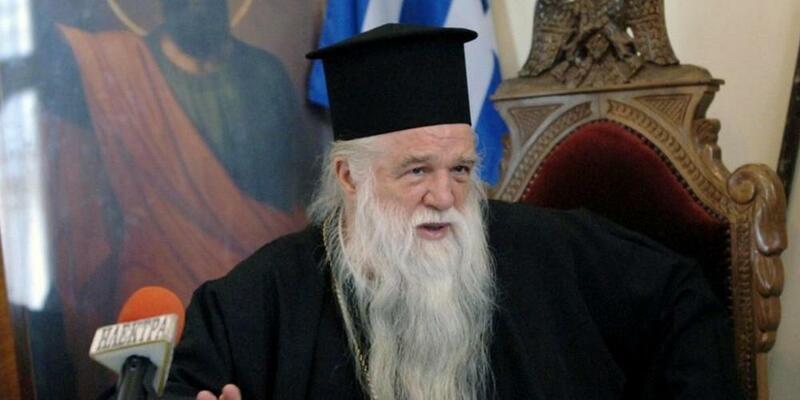 It is clear that His Wife has answered him positively, while Ambrosios now says that he is at the forefront.